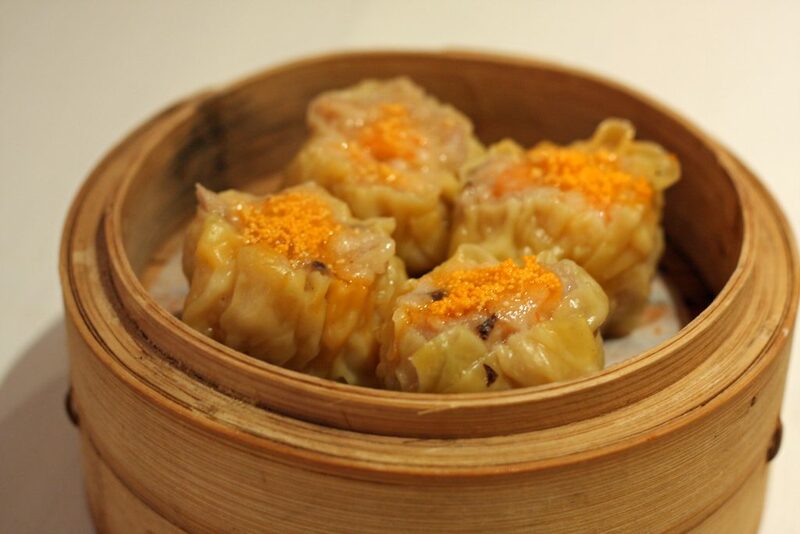 Dim sum is a style of Chinese cuisine (particularly Cantonese but also other varieties) prepared as small bite-sized portions of food served in small steamer baskets or on small plates. Dim sum dishes are usually served with tea, and together form a full tea brunch. Dim sum traditionally are served as fully cooked, ready-to-serve dishes. In Cantonese teahouses, carts with dim sum will be served around the restaurant for diners to order from without leaving their seats. The Cantonese tradition of having endless cups of tea and dim sum is also called Yum Cha, which means “drink tea” in Cantonese. 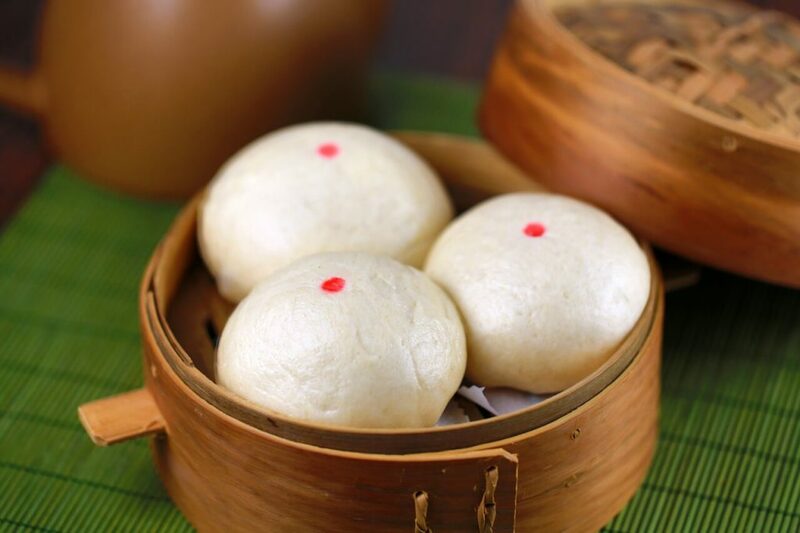 A traditional dim sum brunch includes various types of steamed buns such as cha siu bao (a steamed bun filled with barbecue pork), dumplings and rice noodle rolls, which contain a range of ingredients, including beef, chicken, pork, prawns, and vegetarian options. Many dim sum restaurants also offer plates of steamed green vegetables, roasted meats, congee and other soups. Dessert dim sum is also available and many places offer the customary egg tart. 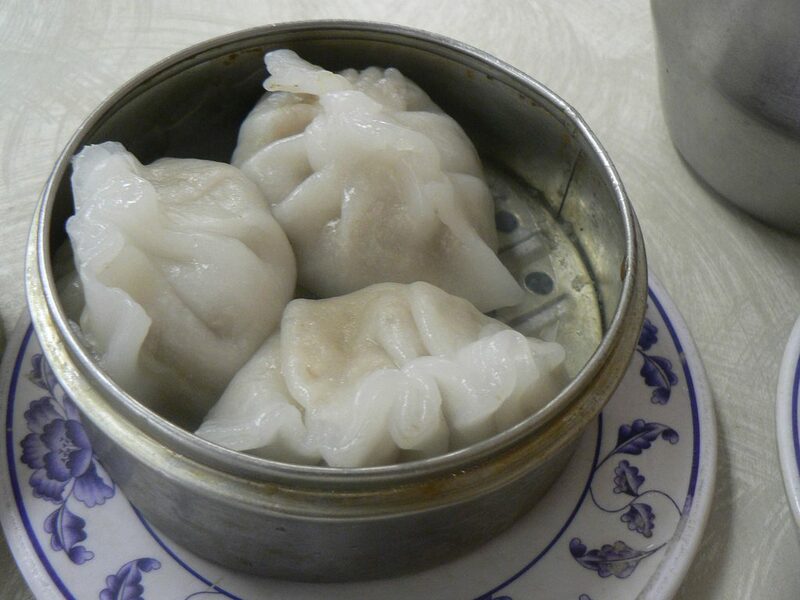 Dim sum is usually eaten as breakfast or brunch. 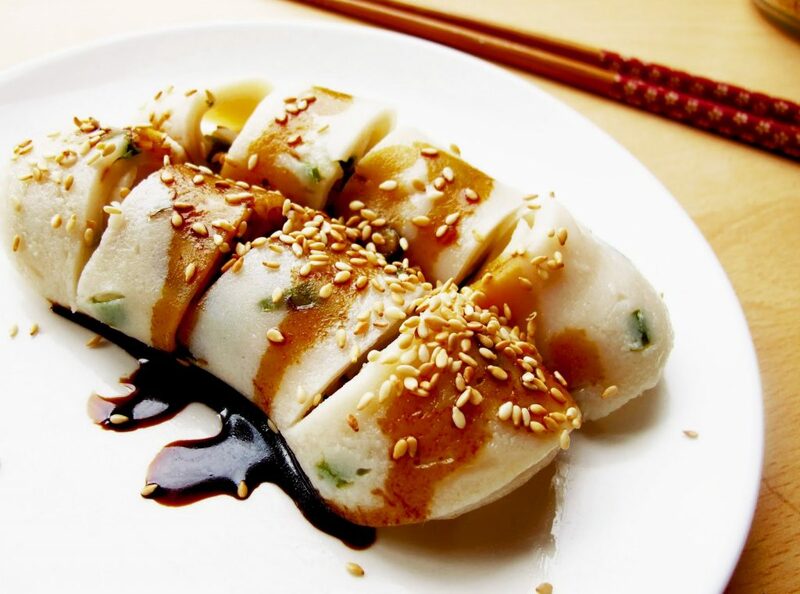 Shrimp dumpling (Har gow) : Steamed dumpling with shrimp filling. 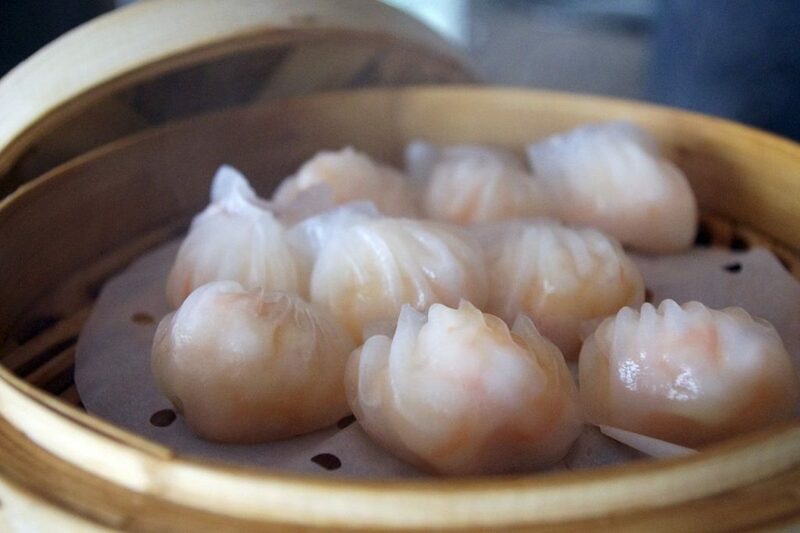 These shrimp dumplings are transparent and smooth. The dumpling is sometimes called a shrimp bonnet for its pleated shape. Teochew dumpling : Steamed dumpling with peanuts, garlic, chives, pork, dried shrimp, and Chinese mushrooms. 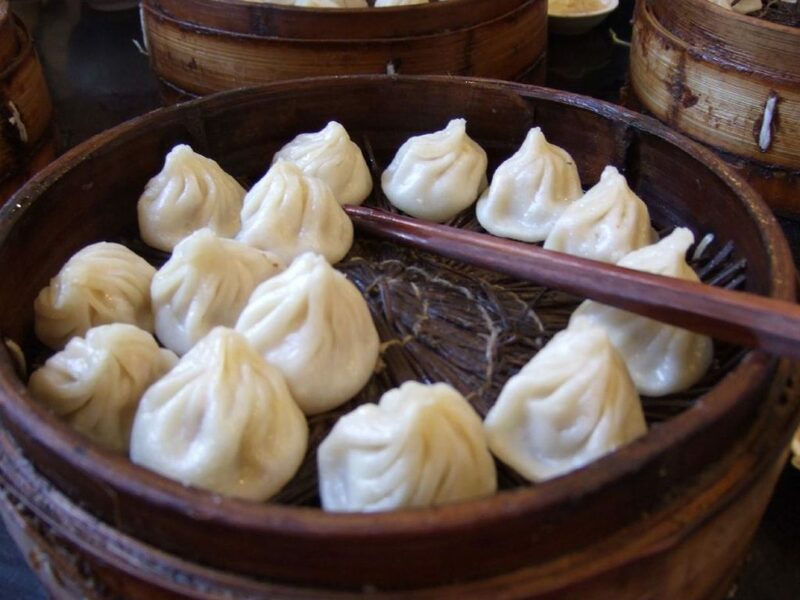 Xiao long bao : Dumplings are filled with meat or seafood and are famous for their flavor and rich broth inside. Xiaolongbao are traditionally filled with pork. One popular and common variant is pork with minced crab meat and roe. More modern innovations include other meats, seafood and vegetarian fillings, as well as other possibilities. The characteristic soup-filled kind are created by wrapping solid meat aspic inside the skin alongside the meat filling. Heat from steaming then melts the gelatin-gelled aspic into soup. 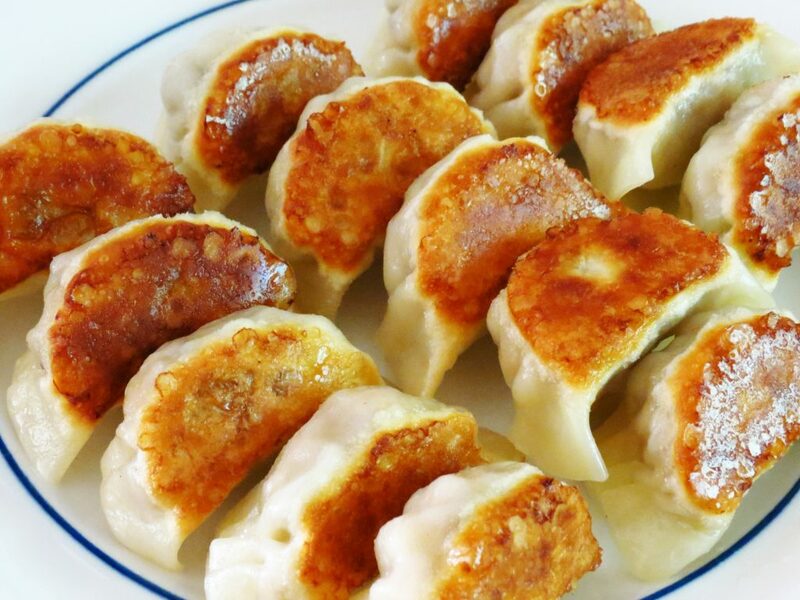 Guotie : Pan-fried dumpling, usually with meat and cabbage filling. The filling for this dish usually contains pork (sometimes chicken, or beef in Muslim areas), cabbage (or Chinese cabbage and sometimes spinach), scallions (spring or green onions), ginger, Chinese rice wine or cooking wine, and sesame seed oil. Guotie are shallow-fried in a wok (Mandarin “guo”). A small quantity of water is added and the wok is covered. While the base of the dumplings is fried, the upper part is steamed and this gives a texture contrast typical of Chinese cuisine. Shaomai : Steamed dumplings with pork and prawns. Usually topped off with crab roe and mushroom. The wrapping is a very thin, round sheet of unleavened dough, with a pleat border. There is only one kind of filling, which mainly consists of chopped or minced mutton, scallion and ginger. Hohhot Shaomai features this extensive use of scallion and ginger, creating a dense combined scent, and a slightly spicy taste. The filling is put in the center of the wrapping and the border of the wrapping is loosely gathered above, forming a “neck” and a flower shaped top. It is then cooked by steaming or pan-frying. Taro dumpling : Deep fried dumpling made with mashed taro, stuffed with diced mushrooms, shrimp and pork. The outer shell is made from a thick layer of taro that has been boiled and mashed. The filling is made from seasoned ground pork. 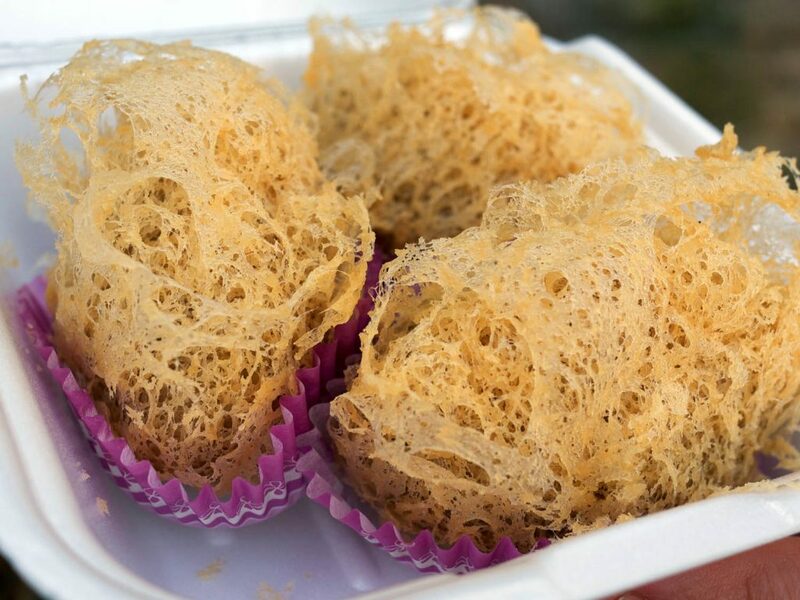 The dumpling is deep fried, and the outermost layer of taro becomes crisp, light, and fluffy. Haam Seui Gok : Deep fried dumpling with pork and chopped vegetables. 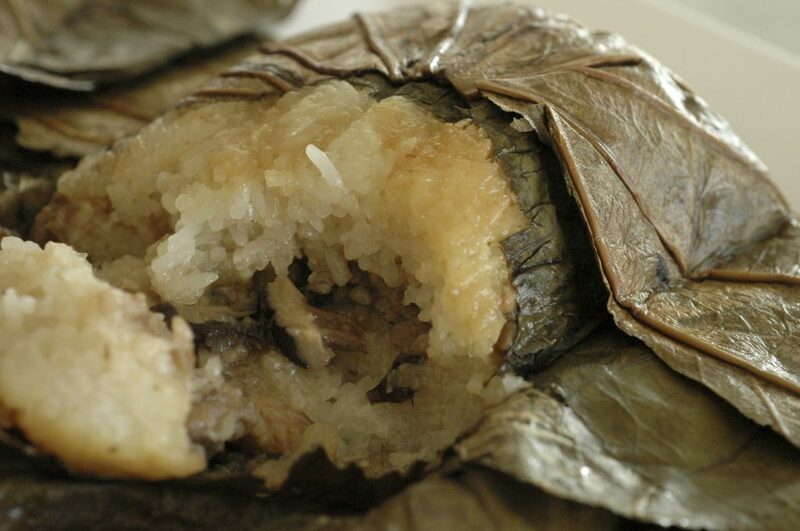 The wrapping is sweet and sticky, while the filling is slightly salty and savoury. 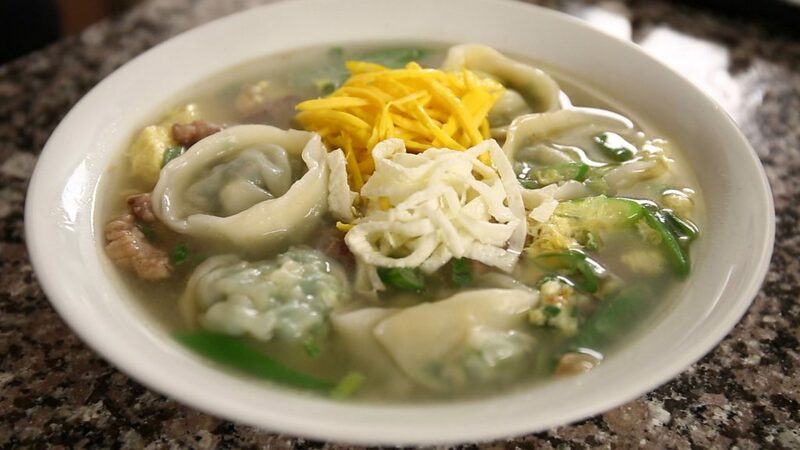 Dumpling soup : Soup with one or two big dumplings. Spring roll : A deep fried roll consisting of various sliced vegetables (such as carrot, cabbage, mushroom and wood ear fungus) and sometimes meat. 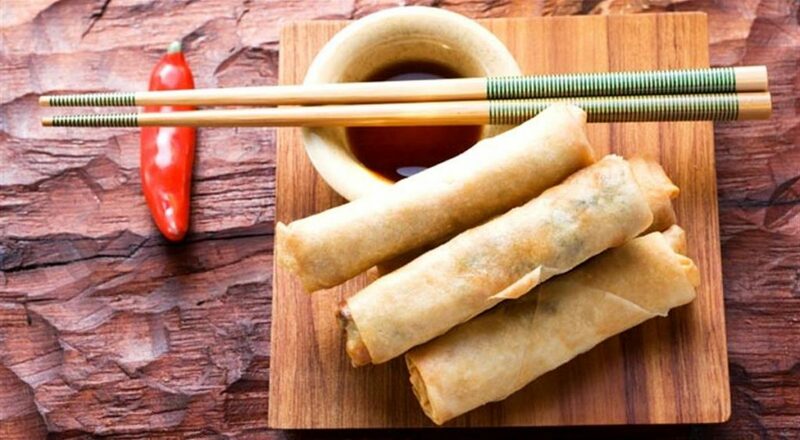 In Chinese cuisine, spring rolls are savoury rolls with cabbage and other vegetable fillings inside a thinly wrapped cylindrical pastry. They are usually eaten during the Spring Festival in mainland China, hence the name. Meat varieties, particularly pork, are also popular. 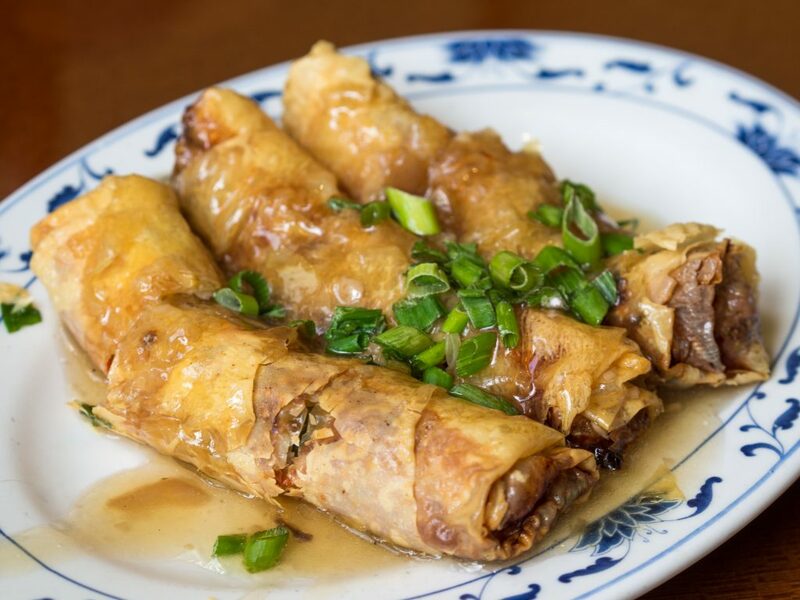 In Hong Kong cuisine spring roll is a fried dish usually available as a dim sum. They typically contain minced pork, shredded carrot, bean sprouts and other vegetables served with a sauce similar to Worcestershire sauce. Tofu skin roll : A roll made of Tofu skin with various meat and sliced vegetables filling. Rice noodle roll : Steamed rice noodles, rolled and filled with meats or vegetables inside but can be served plain. Popular fillings include beef, dough fritter, shrimp, and barbecued pork. Often served with a sweetened soy sauce. 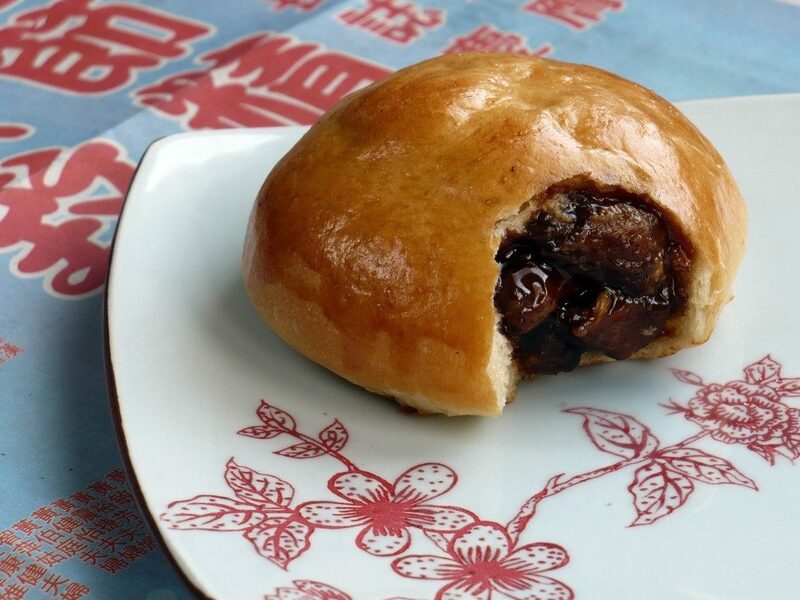 Barbecued pork bun : Bun with barbecued pork filling. 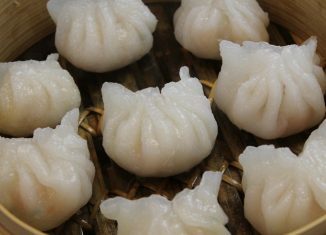 There are two major kinds of cha siu bao, the traditional steamed version is called chāshāo bā;, while the baked variety is usually called chāshāo cān bāo. Steamed cha siu bao has a white exterior, while the baked variety is browned and glazed. 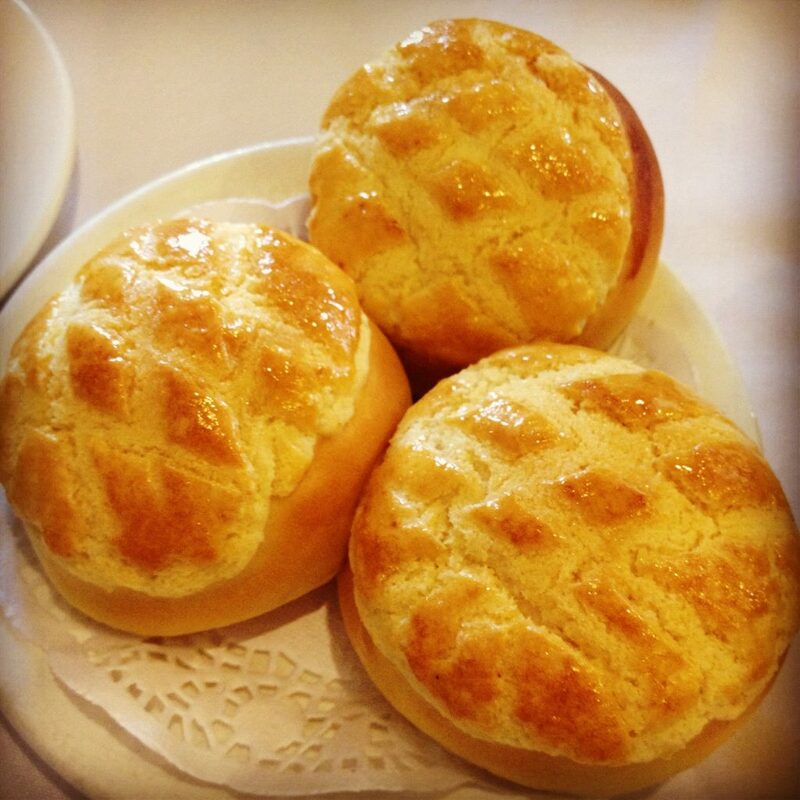 Sweet cream buns : Steamed buns with milk custard filling. Pineapple bun : literally means Pineapple bread. It’s a pine-apple skin-like bread, usually tastes sweet. It is known in Cantonese as bo lo baau, in which bo lo means “pineapple”, and baau refers to a kind of bun-like item in Chinese cuisine. 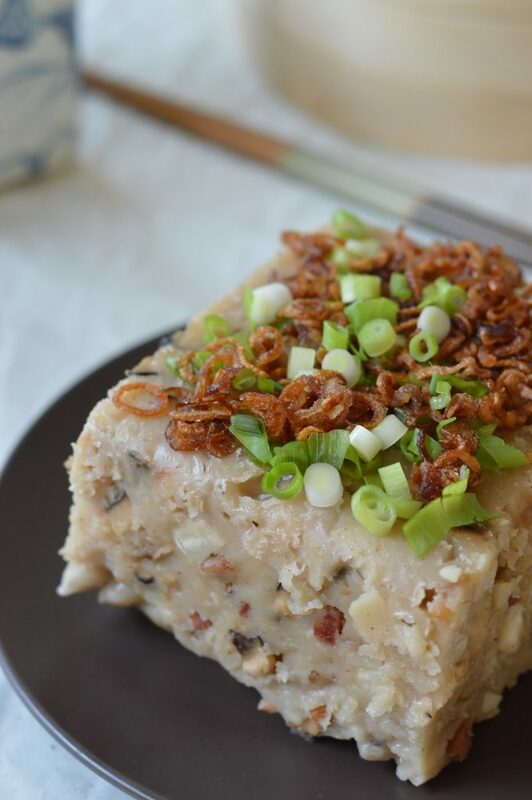 Turnip cake: puddings made from shredded white radish, mixed with bits of dried shrimp, Chinese sausage and mushroom. They are steamed, then cut into slices and pan-fried. Taro cake : puddings made of taro. 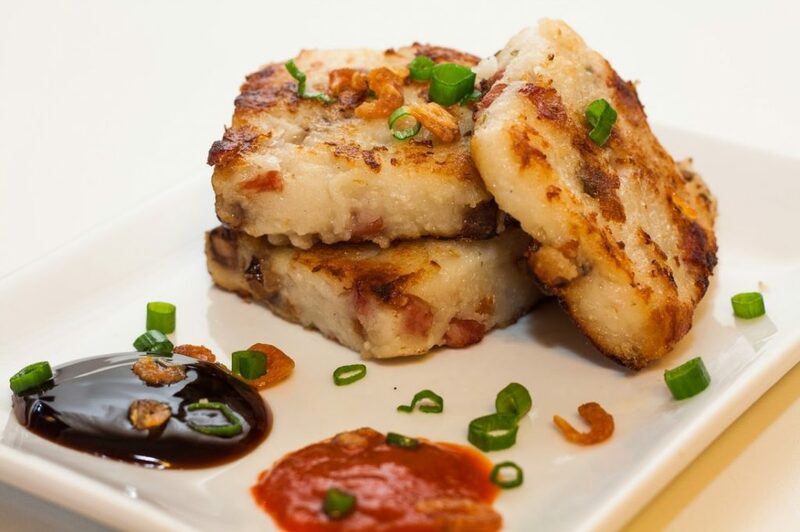 While it is denser in texture than radish cakes, both these savory cakes made in a similar ways, with rice flour as the main ingredient. When served in dim sum cuisine, it is cut into square-shaped slices and pan-fried before serving. 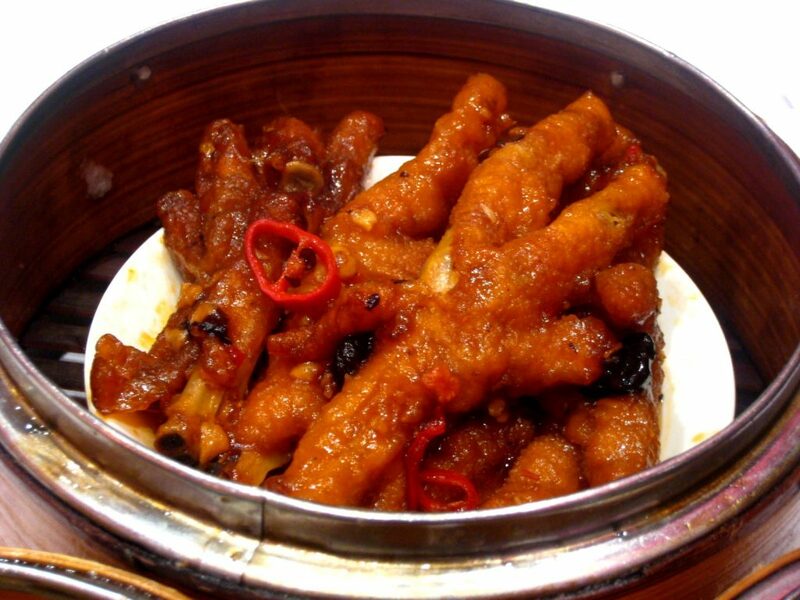 It is found in Hong Kong, China, and overseas Chinatowns restaurants. Other ingredients often include pork and Chinese black mushroom, or even Chinese sausages. It is usually topped with chopped scallions. 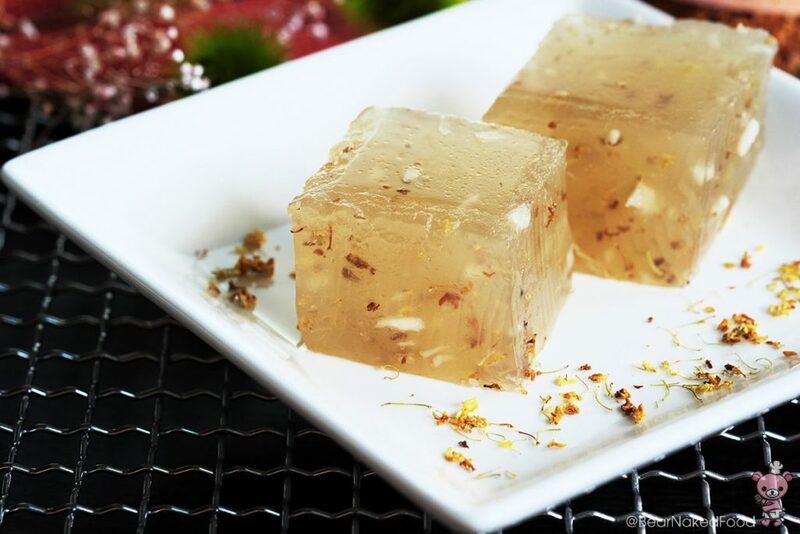 Water chestnut cake : puddings made of crispy water chestnut. Some restaurants also serve a variation made with bamboo juice. 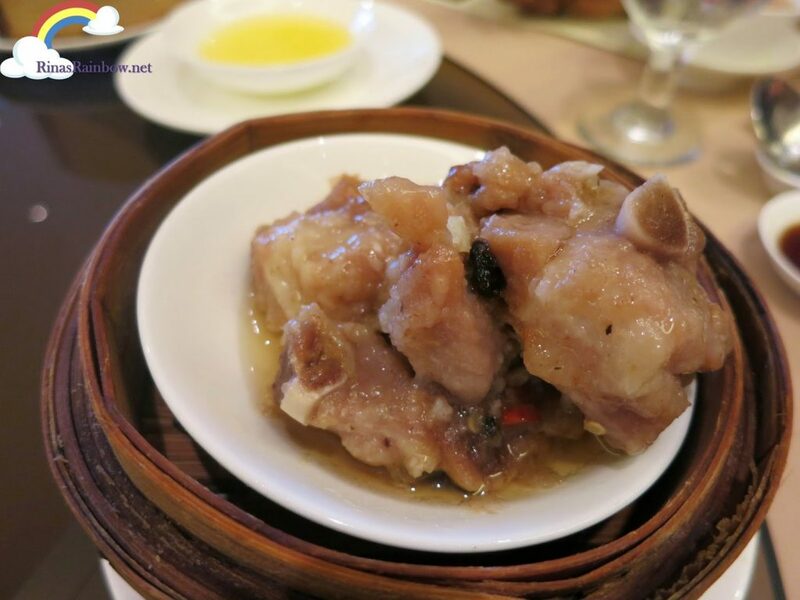 When served during dim sum the cake is usually cut into square-shaped slices and pan-fried before serving. The cake is soft, but holds its shape after the frying. Sometimes the cake is made with chopped water chestnuts embedded into each square piece with the vegetable being visible. One of the main trademark characteristics of the dish is its translucent appearance. 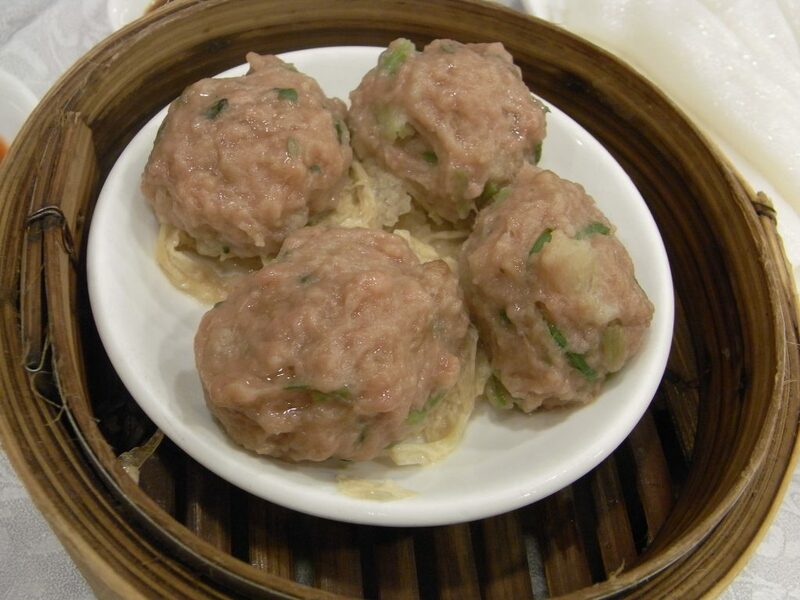 Steamed meatball : The meatballs are usually made of minced beef, with water chestnut to add texture and with coriander and chenpi used as seaoning. A layer of tofu skin, or sometimes peas, are used to raise the meatballs from the bottom of the dish and prevent them from sitting in the cooking juices. It is generally served with Worcestershire sauce. Spare ribs: Steamed pork spare ribs with douchi and sometimes garlic and chili. 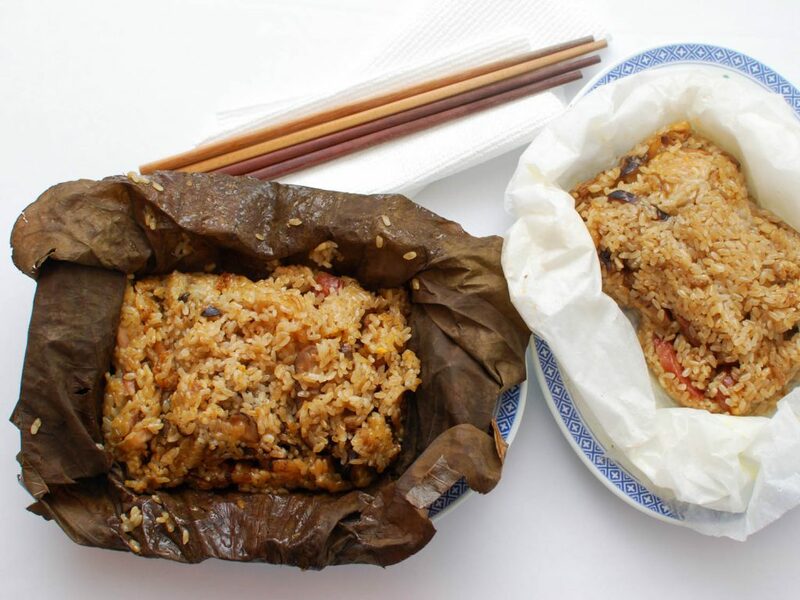 Chinese sticky rice : Stir-fried (or steamed) glutinous rice with Chinese Sausage, mushroom and spring onions. 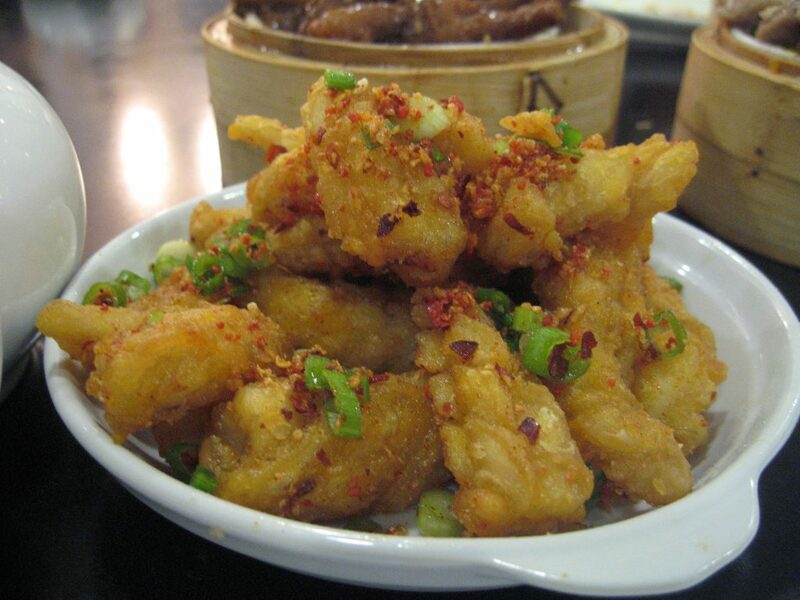 Deep fried squid: Similar to fried calamari, the battered squid is deep-fried. Congee : Rice porridge such as the “Preserved Egg and Pork Porridge”. When eaten as plain rice congee, it is most often served with side dishes. 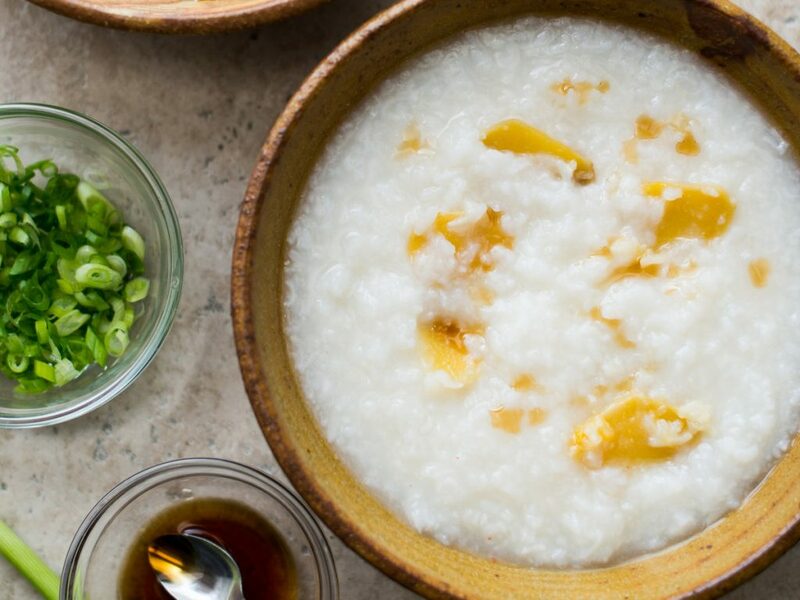 When additional ingredients, such as meat, fish, and flavorings, are added while preparing the congee, it is most often served as a meal on its own, especially for the ill. Names for congee are as varied as the style of its preparation. Despite its many variations, it is usually a thick porridge of rice largely disintegrated after prolonged cooking in water.